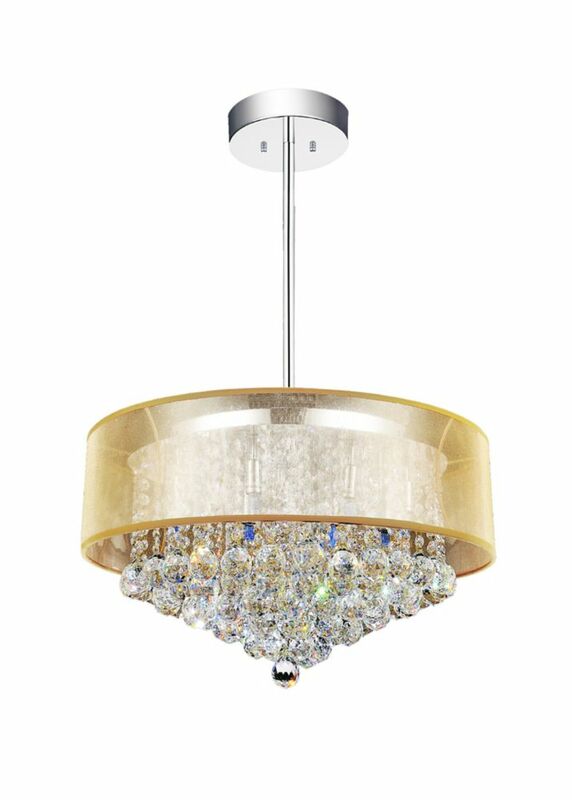 A stunning gold shade pendent chandelier trimmed with spotless clear crystal to add an elegant touch to every home. D:24" x H:13" - 48"
Height is adjustable between 13"-48"
Washed gold finish, fabric shades, high quality K9 crystal beading and crystal drops combine for a thoughtful but effortless look. An elegant light to fit most room styles. Round 24 Inch Pendent Chandelier with Gold Shade A stunning gold shade pendent chandelier trimmed with spotless clear crystal to add an elegant touch to every home.